We've been moving quickly on the integration process for the next update. We are showing you pictures that show areas(highlighted in RED) where there are still segments of Japanese(which only looks like gibberish on an English locale PC). 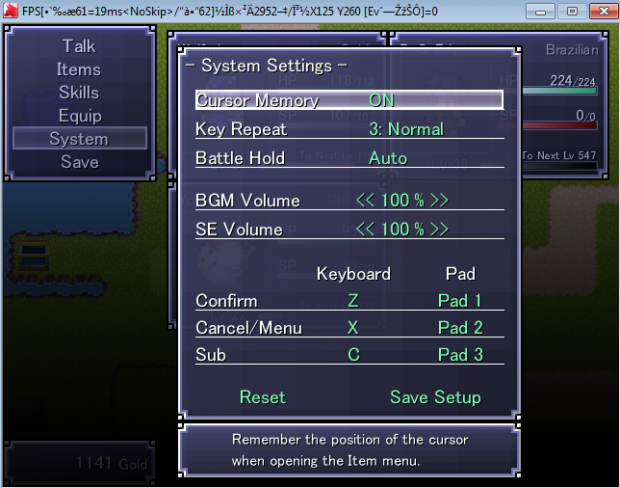 We have found the area where "System Settings" is setup, and we've translated it for your pleasure(it will especially make it useful in future games). And as for the picture with the controllers, the WOLF RPG Editor accepts game-pads and(quite surprisingly) WIRED Xbox 360 controllers! So if you rather play a game with an Xbox 360 controller than a keyboard, well you're in luck! We would like to thank you all for the support as we progress further on "WOLF RPG Editor English"!